Commercial blinds, roller shades and just about any commercial window treatments needed for hotels, offices, restaurants, retail stores and everything in between. No window covering job is too big for us to handle. 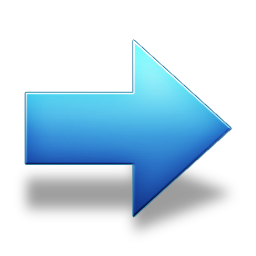 You'll get expert guidance, installation and a great price for absolutely any project. We serve the greater Sacramento and Stockton areas, as well as all of Northern California. Call or email Castle Window Covers for a free quote on any commercial blinds job you need done. We'll come out and measure the job for you, plan our installation and get to work within your time frame and your budget. 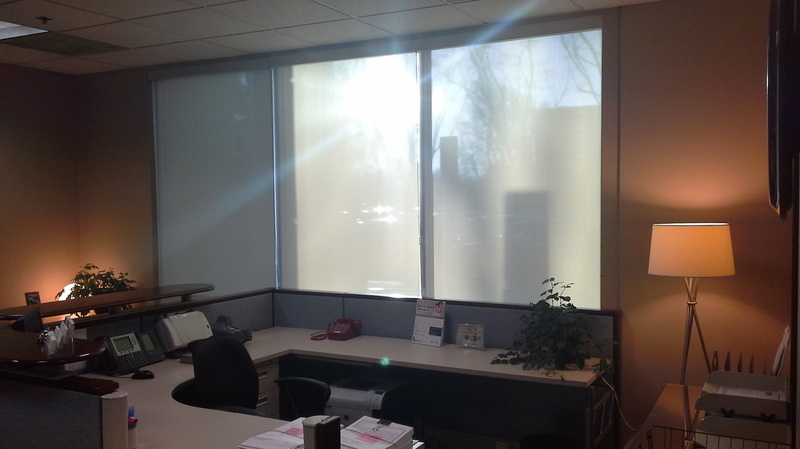 Commercial window shades in a local office letting just enough light through in the late afternoon. Call us at 209-465-3200 to ask us any questions, or Click Here to request a free, no-obligation estimate. Stockton and Sacramento businesses and property owners often need commercial roller shades to help keep the excess sunlight out. Castle Window Covers has an endless array of commercial roller shades to fit your requirements and budget. 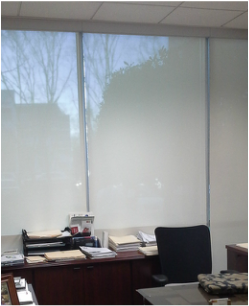 Commercial vertical blinds are versatile and durable as well as cost-effective. They're easy to operate and simple to match to almost any commercial window job, and they're a great fit for added style within a set budget. us with any questions you have about your commercial blinds and commercial mini blinds jobs or any large window treatment projects you might have. Businesses and property owners often want to block out the excess sunlight and heat while still letting in the beautiful glow of natural sunlight. 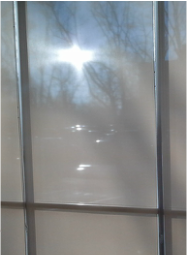 That's where our commercial solar shades come in handy. Castle Window Covers is a proud member of the Builders' Exchange of Stockton, a professional group of contractors, builders and other business owners who have served Stockton and the Central Valley since 1924. 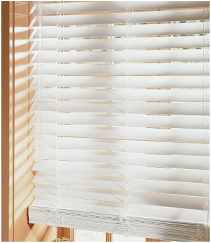 Please contact us any time for a quote on your commercial window blinds and shades projects. 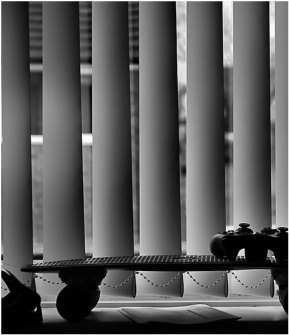 Castle Window Covers is a certified business with the California Department of General Services. As a trusted business, you can count on Castle Window Covers to handle all of your commercial projects with timeliness, integrity and professionalism. The quality of our products has to match the quality of our installations and professionalism on every job we do. We proudly use Draper products with our commercial window treatment projects because we know we can rely on their beauty, durability and cost-effectiveness.